What are sulphates / sulfates? Basically, when a droplet of water forms, it has something called 'surface-tension', which keeps the droplet intact - that's how raindrops fall from the sky in one drop until they hit the ground! When you wash your hair, the droplets from the shower will stay whole and will simply glide off the hair without washing it, particularly if it's covered in grease and dirt. What shampoos do, particularly effectively when they contain sulfates, is to break this surface-tension and enable the water to stick to the hair, helping remove the dirt and grease. The sulfate in particular makes the shampoo lather up and produce the nice foam that we all too often associate with it's cleaning power. One key sulfate in many cosmetics and cleaning products is Sodium Lauryl Sulfate (SLS) which goes by a number of different names. SLS occurs naturally in coconuts, however by the time it reaches the products we use, it has been combined and contaminated with other chemicals like 1,4 dioxane; making the most of the natural properties, but maximising them with additions. It is these chemicals that deepen the problem with sulfates and which have been proven to be carcinogenic. 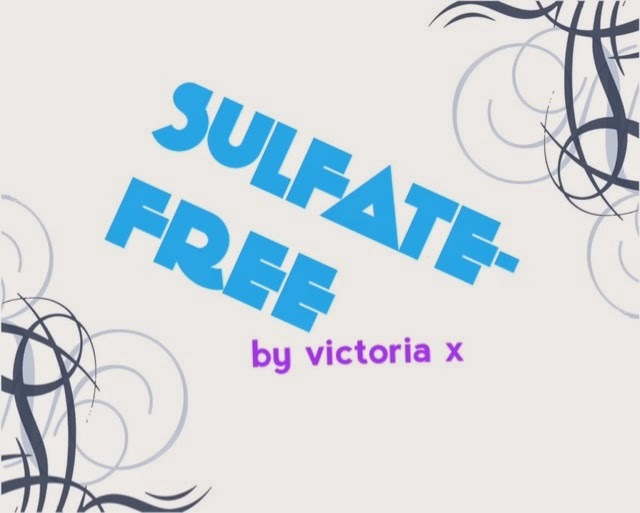 Sulfates are incredibly efficient and cheap, which is the key reason they are used in many cosmetics; other sulfate examples include sodium laureth sulfate (SLES) which is yellow and very foamy, and ammonium lauryl sulfate (ALS) which is also used for it's foaming properties. All three are classified as 'moderate hazards', safe for use in small quantities. Less irritation, particularly if you suffer from excema, dry skin, psoriasis etc. Less availability - again, because the major brands don't stock them, you'll have to search a little longer and probably order them online, although some health-food stores do carry them! Don't worry though - we'll soon be stocking them, not-for-profit at Pretty Bald so you can place orders easily, whilst raising money for Alopecia UK. We'll be reviewing them too! Wigs do not have a fixed colour, but are usually treated and dyed. Using sulfate-free shampoo and conditioner will help maintain the artificial colourings and therefore prolong the life of your wig, making it cheaper in the long-run. Seriously, depending on the wig, sulfate-free products can increase the life of the wig by months! It'll nourish the fibres and help ensure they feel softer, more supple and most importantly more natural. This will help the wig feel more natural on your head (particularly synthetic) and will make it look that way too! In fact, sulfate-free products will help keep your wig the very best it can be! If you need to wear a wig, then ultimately you'll probably have little or no hair (except for fashion purposes) and the wig will be in direct contact with your scalp. This means it's far more likely your skin will be susceptible to chemicals and irritants, making wig-wearing far less comfortable! Taking all that into account, what negatives can you expect from sulfate-free shampoos & conditioners...? Why then SHOULD you use sulphate-free shampoos for your wigs? We can't force you to choose sulfate-free, but it's definitely something we encourage to help prolong the life of your wig and improve your experience! Got an opinion or want to recommend a product you use. Please email us at info@prettybald.co.uk and we'll take a look! In the coming weeks we'll also be putting a number of these products to the test and will be adding the best ones to our online shop the raise money for Alopecia UK!